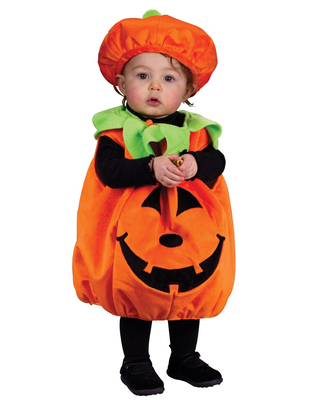 Pumpkin Cutie Pie costume is a pull-over tunic in orange with attached leaves and face detail. There is a self-stick back closure for easy on and off. The hat with stem is included.